The pickup trucks continue to outsell passenger vehicles in the US and Ford’s F-Series is the game leader. 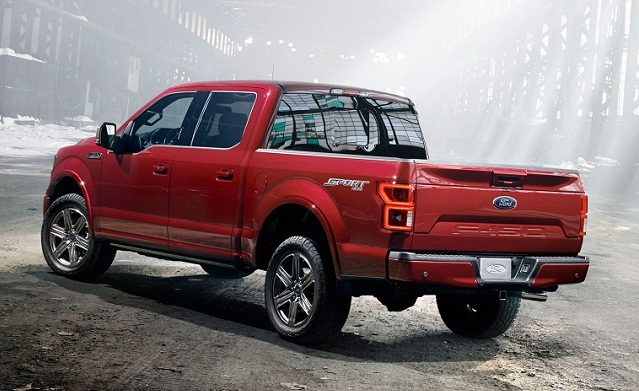 The Ford F-150 is the bestselling light-duty truck and currently the most up to date as well. However, all-new GM’s light-duty models and Ram 1500 are also close to production. Ford, however, did the job earlier and the all-new, aluminum-intensive arrived for the 2015 version. 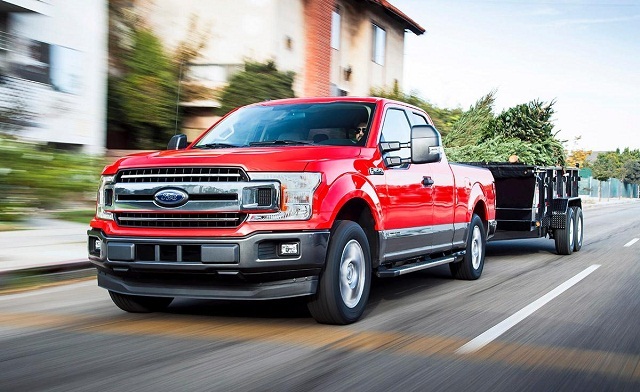 However, the life-cycle of US best-selling vehicle is now shorter and refreshed F-150 is here as the 2018 model. Ford updated the styling of the 2018 F-150 and reworked engine range. The new base engine replaced the old one and Ford also upgraded a 2.7-liter EcoBoost and 5.0-liter V-8. The debut of the Power Stroke Turbodiesel V-6 engine is also the big step forward for the best-selling truck. However, Ford also improved the safety and other equipment. As for the next version, the 2019 Ford F-150, big changes are not expected. Ford will again make some upgrades to equipment range but without of substantial upgrades. The next big change will be the debut of the hybrid version in 2020. The last refresh of the F-150 has evolved the appearance of the truck to the form that resembles the Super Duty Series styling. The latest F-150 has the new face with two-bar style grilles in most versions and C-shaped headlights. The Sport and appearance options come, however, with distinctive grilles with honeycomb pattern instead of the bars. The refreshed F-150 also has a more expressive tailgate. So, the 2019 Ford F-150 won’t change the way it looks and we should expect new color options, exterior themes and wheel designs. The interior of the 2019 F-150 won’t also experience radical changes as Ford made some improvements for the 2018 version. The truck will provide long ride comfort with supportive front and rear seats while available bucket seats will do it even better. The model will also include the latest Sync infotainment system with deferent variants across the range and buyers will also be able to upgrade with better materials, attractive accents and high-end comfort features. The truck will again come in three body styles and with three bed lengths. The trim options will count to seven including the Raptor version. There will also be a number of package options. The F-150 will also be the safety conscious machine and will come with a number of active safety systems. The model will exploit adaptive cruise control, forward collision warning and mitigation, surround view system, blind-spot monitoring, etc. Ford reworked the engine range for the 2018 version and also added the turbodiesel option. The hybrid powertrain will debut in 2020 and the 2019 Ford F-150 will return with the current power units. A recently introduced, new base engine, a 3.3-liter V-6 can produce 290 hp and torque of 265 pound-feet. Ford pairs this engine with a six-speed automatic gearbox. The next-level engine will be a 2.7-liter EcoBoost V-6 also upgraded for the 2018 version. This power mill comes with a 10-speed automatic gearbox and delivers 325 hp and 400 lb-ft of torque. A traditional design 5.0-liter V-8 also produces more power since the last refresh. This engine makes 395 hp and 400 lb-ft of torque. The 3.5-liter turbocharged V-6 will again come in two versions. A 3.0-liter Power Stroke turbodiesel V-8 will also be available. This diesel-drinking engine produces 250 horsepower and torque of 440 lb-ft. Versions with this engine will be able to tow up to 11, 400 pounds while the payload max will be 2, 020 pounds. The 2019 Ford F-150 will arrive in the second period of 2018. The price range will again start below $30k and rise above $60k in high-end versions.